Whether you’re in need of a ladder for maintenance issues or residential and commercial construction projects, Werner Ladders are known for offering the most reliable and heavy-duty products. The Werner D6200-2 Series Fiberglass D-Rung Extension Ladder in particular offers numerous features that any working man will find useful on-site. 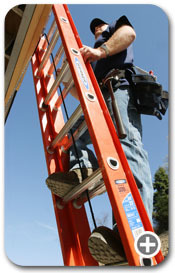 The ladder’s rails are made of fiberglass that is non-conductive, which makes it safe for use around electricity. An addition safety feature includes slip-resistant rungs, which are ideal for providing a comfortable and level standing surface. 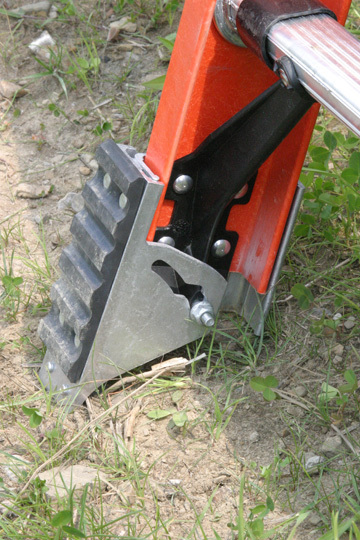 Other special designs that are unique to Werner Ladders include rugged, gravity spring locks, molded rung braces and Shu-Lok shoes with a slip-resistant pad and spur plate. 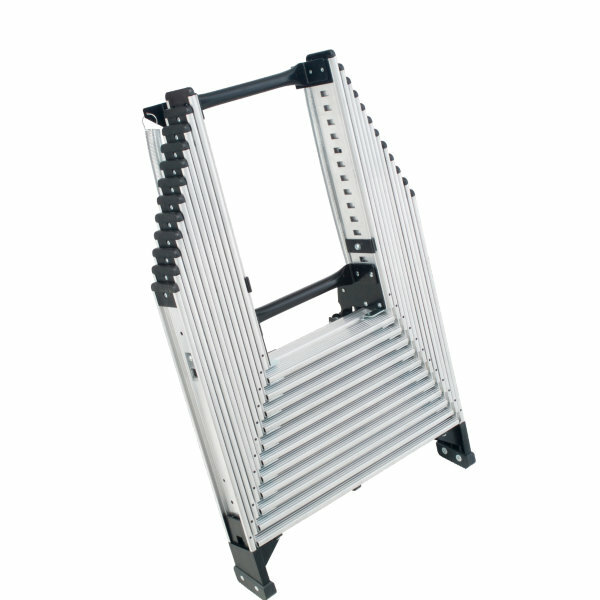 The Shu-Lok pad and spur plate in particular are responsible for keeping the ladder in place, whether it is placed on a flat surface or on soft ground. This makes for even greater stability during set up. Because of its ability to hold up to 300 pounds, Werner fiberglass ladders also come with a Type IA duty rating. 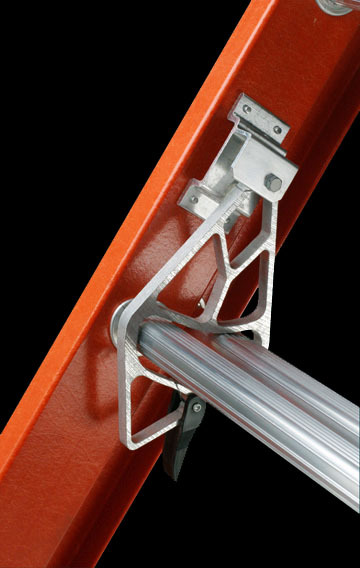 To prevent the ladder from twisting while in use, this item uses a special ALFLO rung to rail connection. To extend the ladder, all one has to do is utilize the pulleys and interlocking rails. 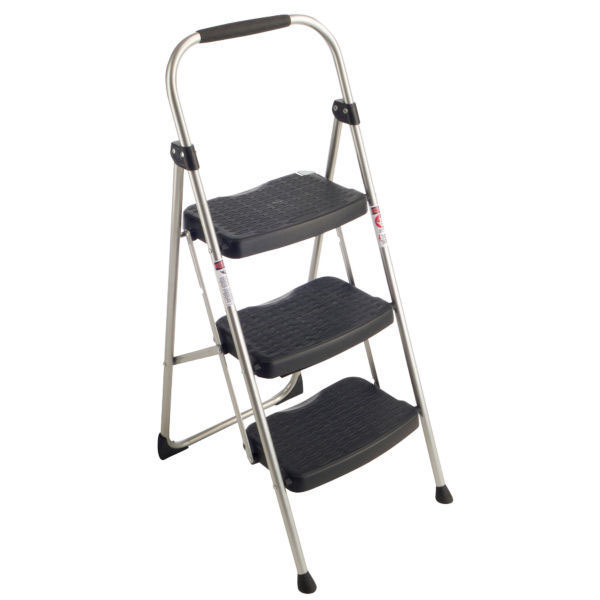 To make things even more convenient, the base section can be used as a single ladder. For multitasking, Werner extension ladders come equipped with pre-pierced holes, which are ideal for adding accessories, such as cable hooks, pole lashes and V-rung assembly, among many others. 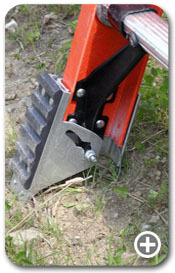 Customers that have used this item from the Werner Ladders product line mainly gave positive reviews. The majority of the reviews gave the Werner D6200-2 Series Fiberglass D-Rung Extension Ladder a perfect rating, with five out of five stars. Of these positive ratings, customers mentioned how durable and well made the ladder was, as well as the ease with setting up and using the ladder’s extension pulleys. Many of the reviews commented on how safe they felt while using the product and their preference of the D-rungs, compared to the older, rounded designs. Two or three of the customers that gave the ladder a positive review did state that they noticed the product was “deceptively” heavy and mentioned the need to have an extra person help with not only propping it up but pulling the extensions up as well. The number of four star ratings and one star ratings were neck and neck (five reviewers gave the ladder four stars, compared to four reviewers that gave the same item one star). However, the only shared comments among those that gave the product one star were related to shipping problems and slight damage done to the ladder during the delivery process—not the actual product itself. 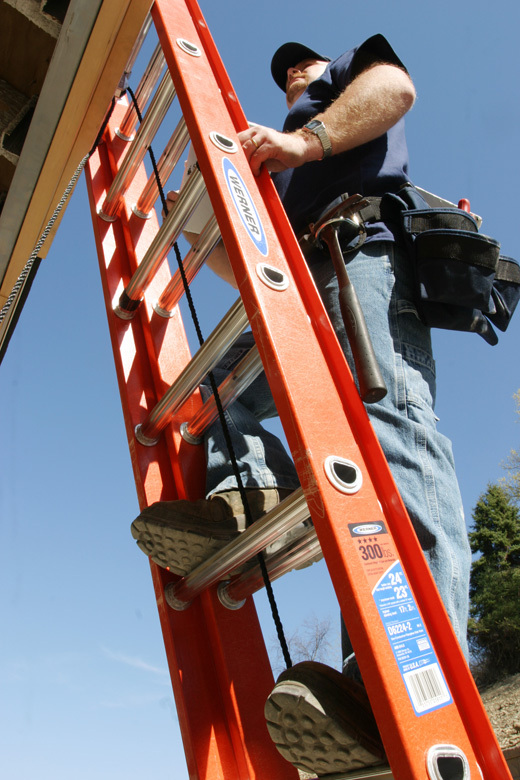 Overall, the ladder has received favorable reviews, with a number of actual users complimenting the Werner D6200-2 Series Fiberglass D-Rung Extension Ladder as being practical, reliable and durable for all of their project needs. Aside from the weight issue, many of the reviewers claimed they would definitely recommend that others try the ladder for themselves. 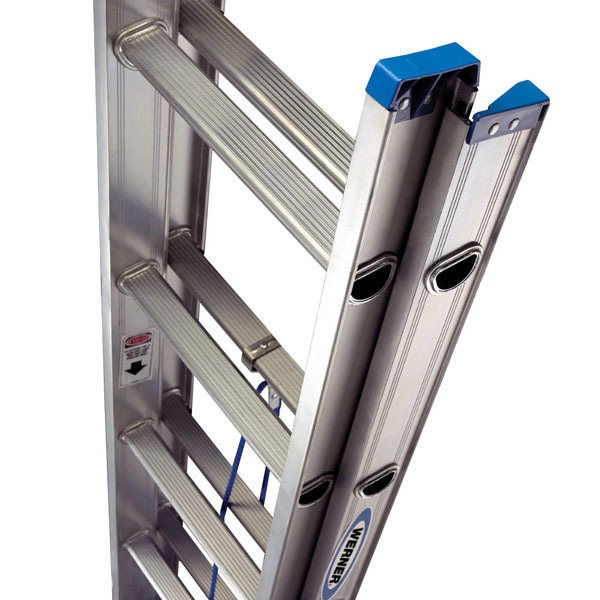 Werner ladders AA Series Televator Telescoping Attic Ladder is one product that was specially designed to help homeowners make the process of cleaning out and organizing storage .. Individuals in need of a good step stool will definitely want to see what the Werner ladders 223-6 StepRight Step Stool has to offer. With no assembly required, users have the abil.. 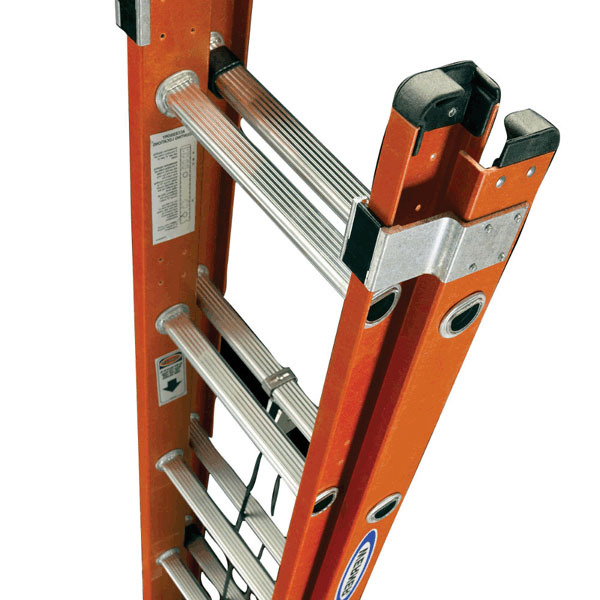 The Werner MT-22 Series Telescoping Multi-Ladder has telescoping capabilities and a 300-pound duty rating. 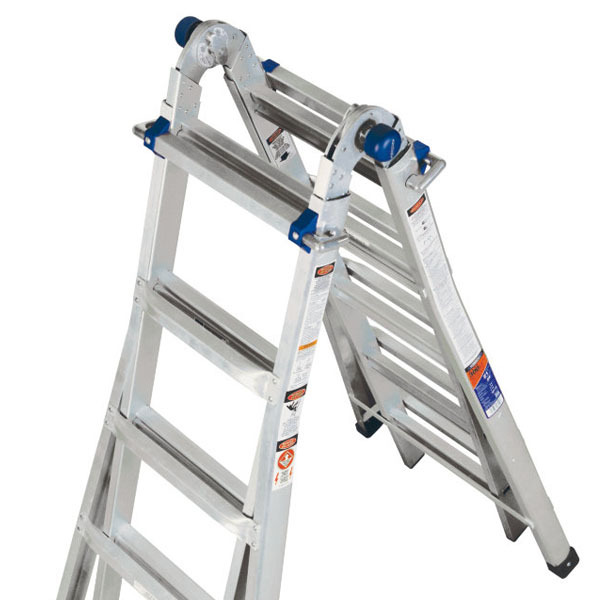 Werner ladders MT-22 converts into a 2-person stepladder, stairway stepla.. The Werner D6200-2 Series Fiberglass D-Rung Extension Ladder in particular offers numerous features that any working man will find useful on-site. 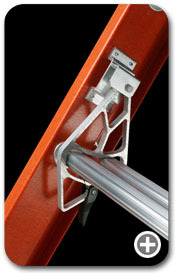 The ladder’s rails are made of ..
Werner Ladders are known for being durable, safe and reliable for all uses. The Werner D1200-2 Series is no exception. Unlike traditional ladders, this product utilizes the latest ..